So 5 games in to the season and what a start it has been. Town lie in the bottom half of the table after a really tough start against some teams who are expected to do well. The main talking point has to be the fact we are missing the cutting edge in front of goal. But this time last season we had only scored 6 goals against some sides that, on paper, we should have put 3 or 4 past. Roll on 12 months and we have played 5 teams who we all expected to walk away with nothing but instead we have been walking away disappointed because we have failed to take our chances and we only have 1 win to our name so far. This table below shows the average shots per game. Brentford have had the most shots off target with us following in second. Out of 64 shots in the first 5 games we have only managed to score 5 and only 1 of them have come from Marvin Morgan who is the only striker to score for us so far this season. People will say it doesn’t matter where the goals come from, but it is very obvious goals will dry up and our strikers haven’t looked up to the challenge of being prolific. @vanner1989: we’re going to finish 6th-12th, could do with 1 more striker if Doble isn’t going to be used. Happy days! We want more reaction off you in the build up to our clash against Scunthorpe on Saturday. Well, the days do fly by between matches! And after getting of the mark with a great 1-0 win over Preston on Tuesday night, Turner and the lads will be looking to get one over on the pacesetters of this campaign, Tranmere Rovers. The arrival of Tranmere brings our second home game of the season, and another chance to extend our unbeaten home run, this time to 34 competitive matches. However, the visitors will come into this game with the uptmost of confidence after convincing wins over Leyton Orient on the opening day, and most recently Carlisle. Rovers midfielder Andy Robinson will be a man to watch carfully after scoring his first hat-trick on on Tuesday. 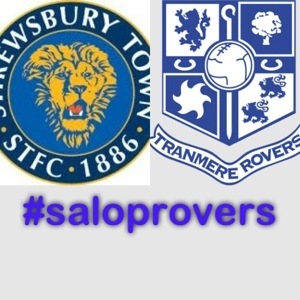 No matter how strong Tranmere have looked in their opening fixtures, I believe that Town have the capability to get a result from this game, and add yet more eyecatching results to the history books at the fortress that is the Greenhous Meadow!! 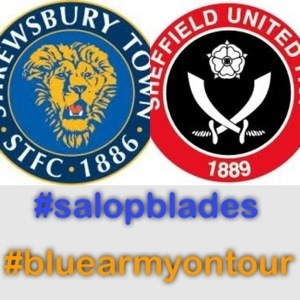 So the first game of our return to the third tier of the football league ended in a defeat after David McAlister scored to give the Blades their first 3 points of the season and Salops second defeat in Yorkshire in 7 days. But don’t be disheartened by the scoreline because Salop deserved at least a point. 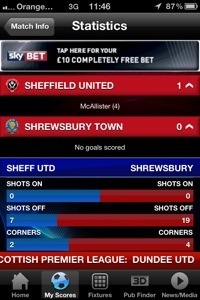 There were plenty of opportunities as sky sports iPhone app shows below. The closest we got to scoring was when Terry Gornell had a goal disallowed. We believe this was a close call. Also Paul Parry came close just before half time when a cracking chip hit the post. Second half and town came out but continued to shoot blanks. With Wright coming close as well as substitutes Wildig, Hall, and Bradshaw all having shots but failing to grab the equaliser. But the main talking point has to be the fans. We don’t know how many people woke up with voices today but we think not many. Singing for 90 minutes. Great colour and were a credit to the club. 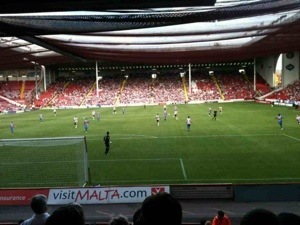 We out sang the Sheffield United fans and even the Blades fans mentioned on their message board how good we were. @JermaineG_2: Disappointing result today. We deserved to get a result tho. I wanna give a shout out to the shrews fans that travelled. You were excellent! So we want to thank you for getting behind the lads and lets continue this great vocal support at home games, as well as the brilliant numbers away from home. @jason2salop: Happy enough just need somebody to take those chances! Collins came good last year, hopefully one of the others will this! Thought Parry was the best player on the pitch! 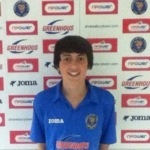 @Ten2ndSplat: Parry MOM think we’ve got the team, most our shots were hit into the ground making it easy for keeper. Also need to shot more from distance stead of trying 2 pass our way 2 goal.Otherwise I’d say brilliant against a strong team! Next up it’s Preston at home Tuesday night followed by Tranmere at home on Saturday. If you haven’t got your ticket then get down and get it. Let’s make the fortress a hostile place to come by being loud and getting behind the lads. 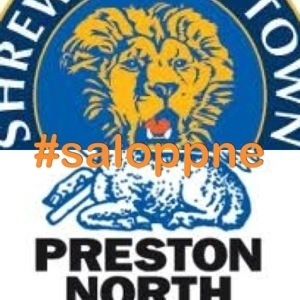 We are going to feature fans in our Preston Build up feature over the next couple of days so of you want to tweet about the game then put #saloppne in your tweet and you may feature. So for the first bit of our build up to Salop‘s first home game in league one and we have managed to get a Preston fan give us a little preview. Hello Thank you for taking part. 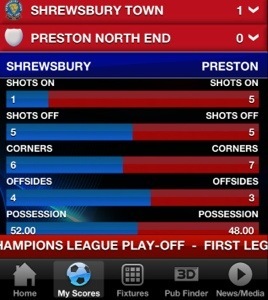 What do you expect from PNE this season? Play-offs at least. We have a totally different squad to last season but we still have the quality to be at the top end of the league. What do you think of all the signings you have made this season? We have a full new squad and haven’t spent any money, so i would say that i’m happy with the signings that we’ve made. We have signed a lot of leaders and players that have been captains at their previous clubs. Also i thnk the squad is better now than what it was last season. We’ve only played one league game with the new squad so it’s hard to say but i’d go with John Mousinho or Scott Laird. From what you have seen so far, what do you think of Nicky Wroe and SCS? Both look like good players, two of the better signings that we have made. Wroe looks like he has great technical ability and SCS looks solid at the back. Can’t really judge them yet as they’ve only played two competitive games for us. How would you describe the last few years following PNE? 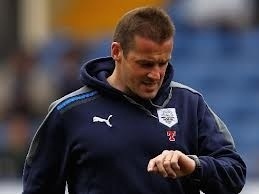 The last few years have been terrible, just hope that Graham Westley can turn it around. 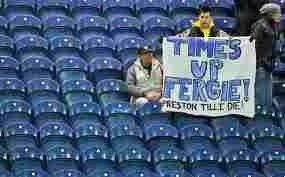 Preston fans have has a turbulent few seasons. Your thoughts on Graham Westley? Well everyone can see he’s a bit of a nutter but i think he can do good things for PNE. He has received a lot of abuse from PNE fans but i think he’ll turn it around this season. What type of football are we expected to see PNE play on Tuesday? Everyone associates Westley with ‘Hoof ball’ but it’s far from that, we pass it around when we need to and get it forward when we need to. Our style of play is quite defensive but it is also effective and i think it will work better for us when we play away from home because teams will attack us more. Is there any position you feel you need to add to? We are in desperate need of a striker, somebody who can score goals. PNE fans are very average, better than most in league one though! A bit of banter with the ‘Oh Graham Westley, he texts when he wants’ chant. I would say about 750 PNE fans will make the journey. Well, what an exciting season this promises to be for everyone connected with Shrewsbury Town. 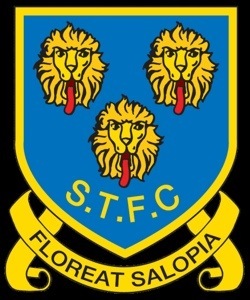 This season, the club will be back, after an absence of 15 years, in League One. Being a lifelong supporter myself, I can’t wait for the big kick-off in the league at Sheffield United. Doncaster are just some of the eye-catching fixtures for the Town this year. Who in their right mind would want to miss a game? I have to say I’m impressed with some of the talent and names that Graham Turner has bought in over the summer. Although I’m sure I wasn’t the only one that was slightly concerned with the amount of vital players from the 2011-12 season that left. The departures that shocked me the most had to be those of Nicky Wroe, Ian Sharps, Shane Cansdell-Sherriff and James Collins. The latter of which wrote his name into the Town history books by scoring the crucial, winning goal that sealed our promotion from League Two. The capture’s of Asa Hall, Paul Parry, Darren Jones and Rob Purdie are certainly not ones to be dismissed, as they could provide the strength and player diversity needed to survive at the next level. I feel that with the squad that Turner has put together we are more than capable of surviving our first season in League One for 15 years. Therefore my end of season position prediction is Mid-Table/Top half of table. I’d like to wish all the best to the players that left us at the end of last season.